International users — especially those from Australia — have been struggling with Microsoft for a months over an excessive charge that Microsoft has levied against them. When they bought apps through a credit card, they were charged an extra $1 a transaction as an “international data fee.” Paying an extra $1 on a $0.99 app? That seems problematic. Thankfully, this is now fixed. The reason for the charge was that Microsoft didn’t have a payment processing facility close enough nearby, instead routing it through Singapore. 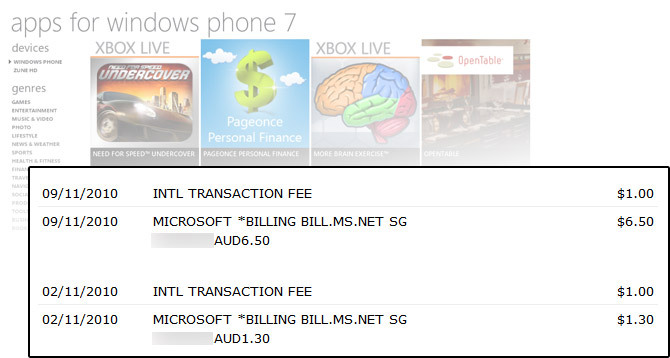 These payments are now going through Sydney, saving users the $1. Any of our international readers — from Australia or elsewhere — hit this problem before?